First published in 1816, this lively and informative narrative of a walking tour of North Wales was written by Edward Pugh (1763-1813) and richly illustrated with engravings of his own watercolour drawings of people and landscapes. (In this reissue, the drawings are reproduced in black and white, but the colour originals can be viewed at http://www.cambridge.org/9781108061483.) 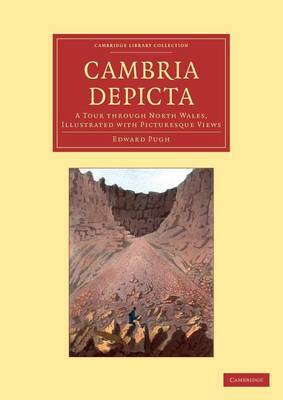 Pugh, a native Welsh speaker, travelled some 800 miles, criss-crossing Wales in every direction, collecting information about the industrial and agricultural condition of the country. He conversed with almost everyone he met, on the road and in the inns where he stayed. The book began as a guide to artists unwilling to risk departing from the main tourist routes where English was spoken. By the time it was published, however, its main aim was to vindicate the character of the Welsh people from the ill-informed accounts of English tourists.